Why should people walk up to your display and talk to you? This question is one our team at SpeedPro Imaging Tampa Westchase will ask you during our initial consultation. If you’re looking to build yourself a new trade show display booth, we’ll get right to the point in making sure we bring your setup to life! Knowing who you are as a business is important to us because we want to effectively capture your brand for promotional purposes. Putting your brand’s essence front and center will entice people passing by to check out your display and perhaps invest in your company. 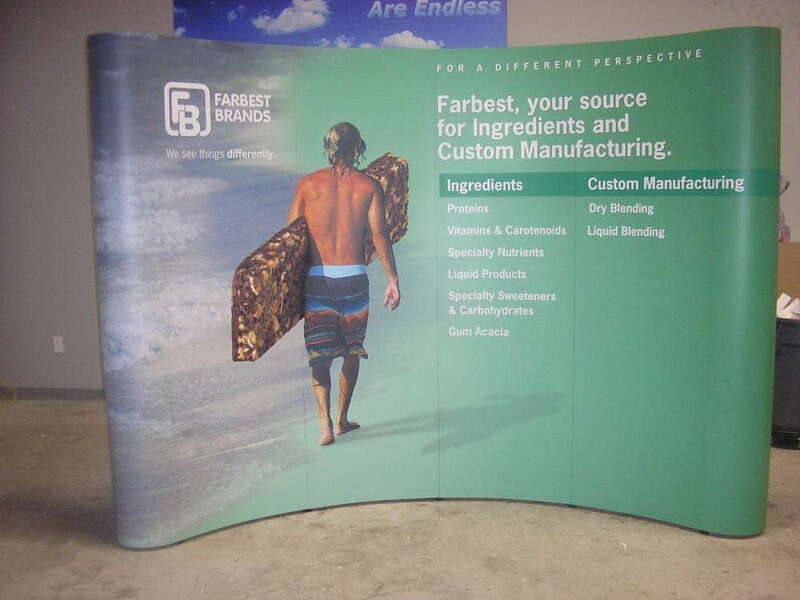 Reach out to our studio if you’re interested in creating a hard-to-miss trade show display booth and backdrop. Our experienced team is ready to promote your Tampa-based business or organization. A lot of times, people have to feel comfortable approaching your display. The last thing you want is to walk up to a group of people and act overenthusiastic, only for them to turn around and go to your competition’s display. You’ve probably experienced this issue in shopping malls or at car dealerships. You enjoy looking at kiosks and through car lots on your own time, but as soon as a salesperson begins to approach you, you feel cornered and pressured. So how do you invite people into your display area? And what will make them give you that second or third glance? 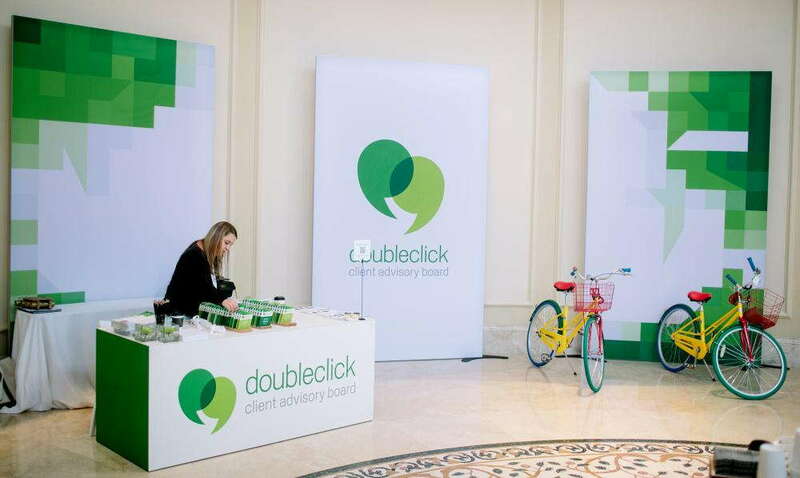 An eye-catching display, full of bold graphics and interactive features, will make anyone passing by your trade show display want to know more about your brand, business and future. First, we’ll consult with you to know all about your business’s needs, including past marketing attempts, directions and goals as well as what you want your brand to represent. Then, we’ll analyze your competition so that we can create a trade show environment that highlights you and your display over others. These options are totally customizable for your needs. Our goal is to create graphics that are bold and distinguishable in a crowd. We also focus on four categories for trade show event display graphics: versatility, durability, portability and ease of assembly. For versatility, many of our options can be used both indoors and outdoors, such as banners, tents and table toppers. There are many subcategories within our banners too, such as step-and-repeat banners, retractable banners, portable banner stands and hanging banners. All of our customized options are created to be durable. Even if you choose a printed sign that you’ll use only once, it will be built to withstand a few uses. Many of our banners, murals and flags are made out of vinyl, ensuring not only that the material will last but also that the inks printed onto them will stay vivid and fade-resistant for years. We strive to make all our features easy to assemble. Tents and banner stands do not require tools and are easy to lock into place. In this same vein, many trade show display parts are portable. Tents can collapse into a convenient carrying bag to move from one venue to another. Our flags can also be transported inside or outside based on the weather. 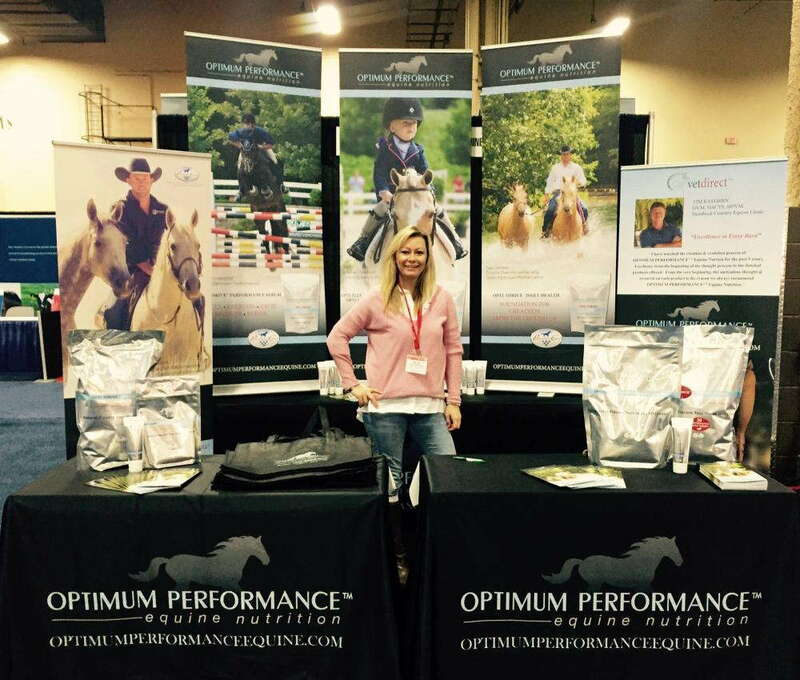 If you’ve been looking for ways to stand apart at your trade show displays, rely on us. At SpeedPro Imaging Tampa Westchase, we’ll emphasize your brand in a natural but bold way that draws the attention of all guests and trade show attendees. Give us a call, and we’ll set you up with a consultation!